Back in 2006 the third release on Damon & Naomi's 20-20-20 label was International Sad Hits, Volume 1, a compilation of singer-songwriters whose "music has never left their national or linguistic cultures", since then the duo have been working on getting volume 2 released with the help of Spanish musician Ibon Errazkin. 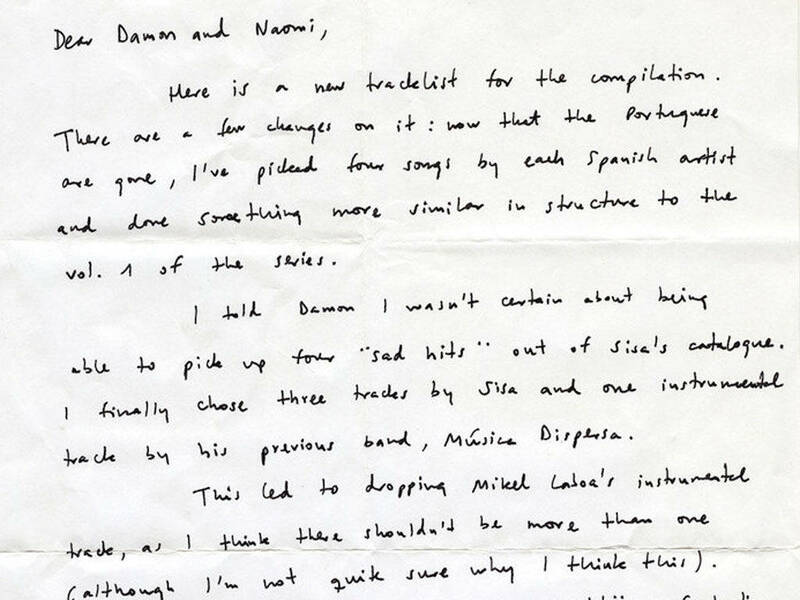 Volume 2 was to have covered the music of the Iberian peninsula but sadly rights issues have meant that after protracted attempts to get a release Damon & Naomi have opted to put out the album as a YouTube playlist. You can find out all about the album (actually albums) and listen to it (them) over on the new 20-20-20 website.